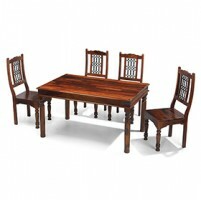 Perfect for family dinners and entertaining friends, this impressively solid table extends to almost two meters when you're laying on a spread. Built from solid oak and oak veneers and finished with a natural lacquer, this timeless table is ideal for any kitchen or dining room big enough to accommodate it and comes with a wealth of character in its peg detailing, sturdy tapered legs and rounded-off corners. 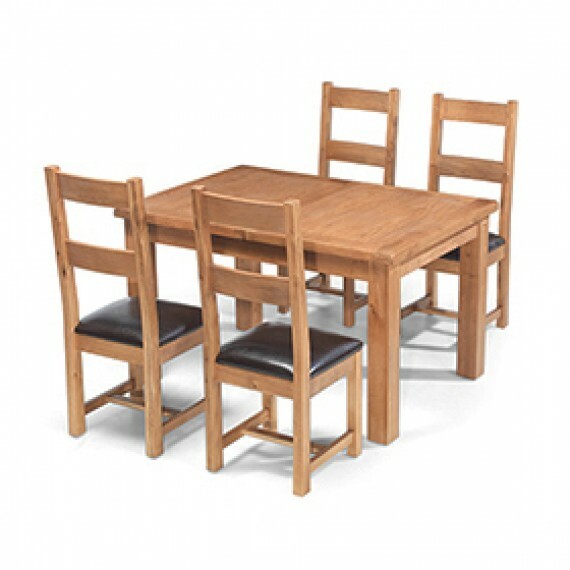 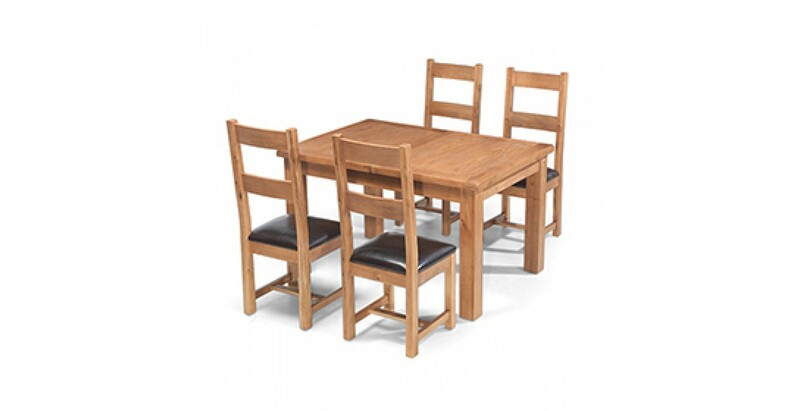 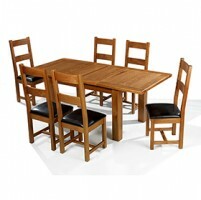 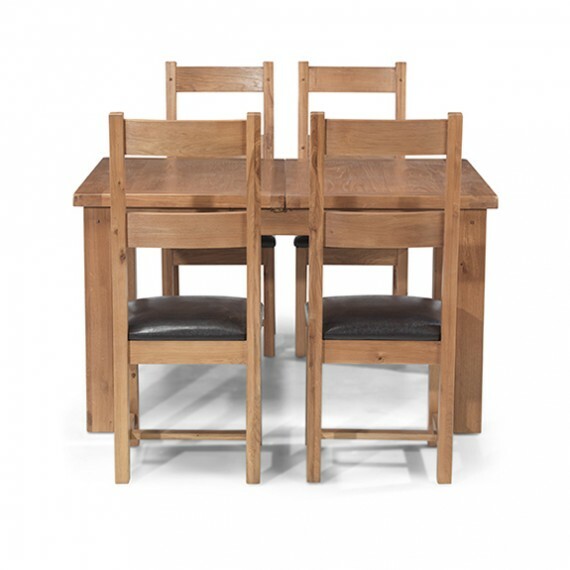 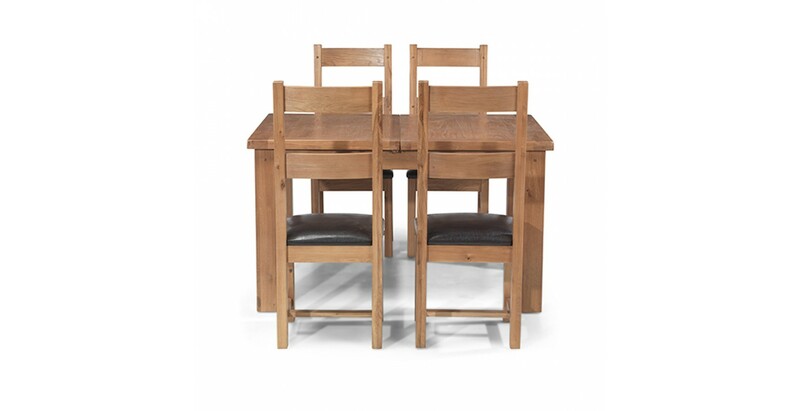 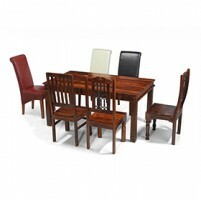 And to provide the perfect accompaniment, it's supplied with four of our matching chairs. 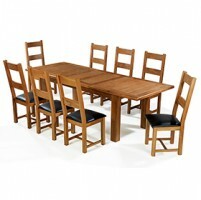 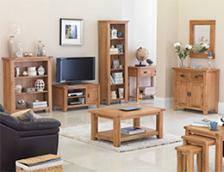 Equally impressive, each one has a classic ladder back and a comfy padded leather seat.